Some of the world’s finest table tennis competitors are set to do battle in Markham, Canada with the Uncle Pop 2017 ITTF Women's World Cup presented by Polar Naturals commencing on Friday 27th October. The draw for the group stage was successfully conducted on the evening of Thursday 26th October as the players seeded ninth to 20th were placed into four equal groups of three, so here is a quick look at what’s to come on the first day of action. 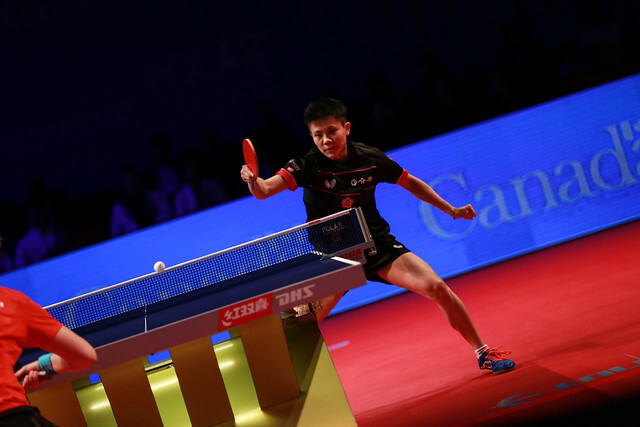 Zhang Mo carries the hopes and dreams of the host nation in Markham and is aiming to progress from the group stage for the first time at the event. The Canadian representative has been placed in Group A where she will meet the ninth seed Suh Hyowon of Korea Republic and USA’s Lily Zhang. With two players advancing from each group and the home crowd on her side Zhang Mo enters the opening day with plenty of optimism, but can she deliver the goods and lead Canada into the Round of 16? Close friends become rivals as Hungary’s Georgina Pota and Sweden’s Matilda Ekholm, who also form a formidable doubles partnership, meet one another in Group B. Also included in the group is pen-hold grip specialist Jian Fang Lay and, while she is the lowest seed of the three players, the 44-year-old Australian demonstrated at the 2016 Olympic Games that she has what it takes to cause an upset or two. There could be a very interesting battle brewing for first position in Group C with Chen Szu-Yu and Lee Ho Ching both drawn in the same group. The Chinese Taipei and Hong Kong contestants take on Chile’s Paulina Vega, who will relish the opportunity to face the 11th and 13th seeded competitors on her Women’s World Cup debut. However, if there’s one group to keep a close eye on it’s surely Group D which features Austria’s Liu Jia, Germany’s Sabine Winter and Egypt’s Dina Meshref. Sabine Winter was in terrific form at the 2017 Europe Top 16 Cup event, outperforming Liu Jia with a bronze medal finish in Antibes while Dina Meshref sealed her spot at the World Cup with a title winning campaign at the 2017 ITTF-Africa Cup held in July. Who will emerge victorious in Markham and lift the World Cup? Watch the action unfold live with itTV.